We explain many things about Android and its working in my past articles but the main reason behind why apps developers prefer Android market is because they can earn income from their apps. It seems like good and exciting about making money from your Android apps. We hope at the end of this article you will find a thing about turning your online business towards android market also. Mostly there is two different and efficient method to make money from Android. By using Ads on your Apps, In-App purchases and by Marketing Android Apps. So before proceeding with this article the major part is you already having any android app. It is one of the best and effective ways to make revenue from your Apps. 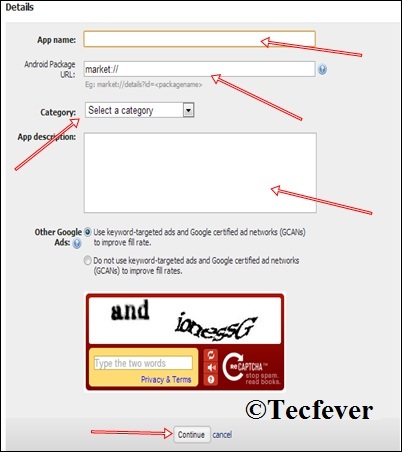 You can make income from your Android apps bu Using Google Adsense. There is a mobile version of Adsense which is known as Admob. Here are the steps about how you can make cash by using Admob. Note: – Make sure that you have to distribute your Android apps in Google play store Before Using Admob. Open Google Admob By clicking this link. Register your account with your details by using your Google account. If you already have an Adsense Approve account, then use it for Admob to sign up. After Sign up, click on the Add your app button. Provide the Tax detail and payment method before proceeding in Admob. There are two different methods available for payment by Using Bank account or by using PayPal method. Add your Apps type there are four available option Android Apps, iPad Apps, iPhone Apps and windows phone seven apps. 6. Tap on the Android apps tab if your apps are distributed in the Android market. 7. Enter the required detail of your Apps like the name of the app, Provide the URL of your apps published in the play store, then choose the category and enter the description of the app. 8. Submit your app’s detail and wait for app Approval. 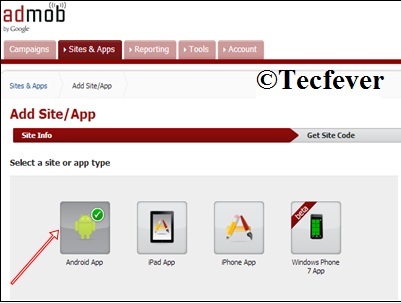 After the that, you will get unique id code which you have to save or paste in the hosting of apps where you created the apps. 9. Copy Your Publisher id code and paste them in Advertisement section available in the hosting of your apps. 10. After setting all the steps successfully within a day (24 hours), ads will start arriving on your Android apps, and you can review earning in the Admob dashboard. This is second and best method to make money from your Android apps. As we know, there are many apps which come under the category of paid apps. Mostly those apps which have some marvelous features and developer feel that they have to charge some money from their users for their services like one of the most famous Whatsapp which also makes service fees as In-App Purchases. So here we suggest you if you can make your Android apps which contact some features which you feel that people want to use then you can also charge some money your apps or games. In the end, we can say that making money from Android is not an easy task, but if you have apps developing abilities or having knowledge about apps developing, then we are defiantly sure that will make money if you have long term planning with Patience also. We hope that this article helps you to make money from Android market. If you feel the same, please do share this with your family and friends. If you are facing any problem or having trouble regarding this topic. You must leave your comments here.